Bangalore: It's the euphoria of tablets everywhere and every one of us wants to grab upon some kind of tablet. Today we have huge number of vendors flooding into the market with different types and shapes of tablets. The crux of the deal is to opt for the right tablets and this needs a complete research on the present layout of tablets in the market. So before you lay your hands on anyone of them, make sure you are aware of the key things about a tablet. Here is a list of six things that you should know before buying a tablet. 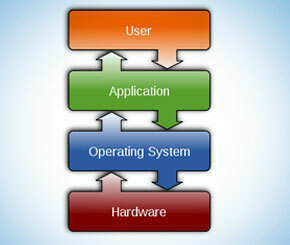 Today the market offers you tablets with different types of operating system. While Android OS seems to be doing the buzz, Apple's iOS has been ruling the tablet industry for quite some time now. Android upgraded version Honeycomb 3.1 is the best suited for tablets, in case if you want to go for a tablet which supports android OS and if you are looking for enough customization then it is the ultimate hub.